For any business with a website (and that is probably all of you reading today) search engine optimization had probably crossed your mind. How do you get your site to rank higher on Google? How can you make sure that your site is being seen by the right people? What can you do to help your site on search engines? This is SEO and it is a big business. A quick Google of SEO companies will offer a myriad of options, all promising to help you get your site in front of your customers. Do you know how to choose the right company? 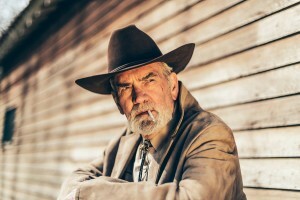 If the internet is the wild west then SEO companies are the cowboys, helping to wrangle their herd home. And much like cowboys, there are white hats. If you are a fan of old westerns than maybe you know which are considered the good guys, and which aren’t. As far as Google is concerned, black hat SEO companies are the stage coach robbers of the internet, always looking for quick money or a fast return. And with Google as the sheriff in town, black hat SEO tactics can land your website in trouble faster than a firecracker on the fourth of July. So what is the small business owner to do? Well, with a little understanding of the two “cowboys” you will have all the ammo you need to pull the trigger on the right SEO company for your business. There are a lot of elements and tactics that differentiate white hat and black hat SEO, but it all can be whittled down to one key idea. White Hat SEO takes a slow, ethical and measured approach to building traffic to your site in a transparent and targeted way. Black hat SEO does the opposite, looking for quick, easy, and one-sized fits all solutions to SEO. White hat SEO won’t offer a quick return on your investment, but instead should be measured over time whereas black hat may offer quick results now, but can crash you site on search engines in the future. There are a lot of pieces that go into SEO, and it can be confusing to know if the various tactics used by an SEO company are white hat or black hat. However, there are a few questions every business owner should ask before signing on an SEO company. How long will it take me to rank on Google? A black hat company will promise the world, offering fast results. Companies that are truly white hat know that search engine optimization is a long game and they communicate that to their potential clients. What is your plan for my SEO needs? Black hat companies are typically really reluctant to share their tactics. White hat companies, in contrast, will want to work in tandem with your company on your SEO journey; offering insights into the plan before work begins. How much does it cost? SEO is one of those industries in which you get what you pay for. If the price sounds too good to be true, it is probably a black hat company. White hat SEO is a long and time-consuming process and while it can be costly, the right company should be able to provide a good return on your SEO investment in the form of quality traffic and targeted leads. For more information on the differences between white hat and black hat SEO you may find this article from Kissmetrics to be enlightening. Have you ever worked with an SEO company? What was your experience? If you have any questions about the differences between black hat and white hat practices, let us know. We may even turn your questions into a future blog.